In a series of posts we’ ve been covering topics on how to add live chat to your social media accounts. We’ve explored the possibilities offered by Facebook and Twitter. 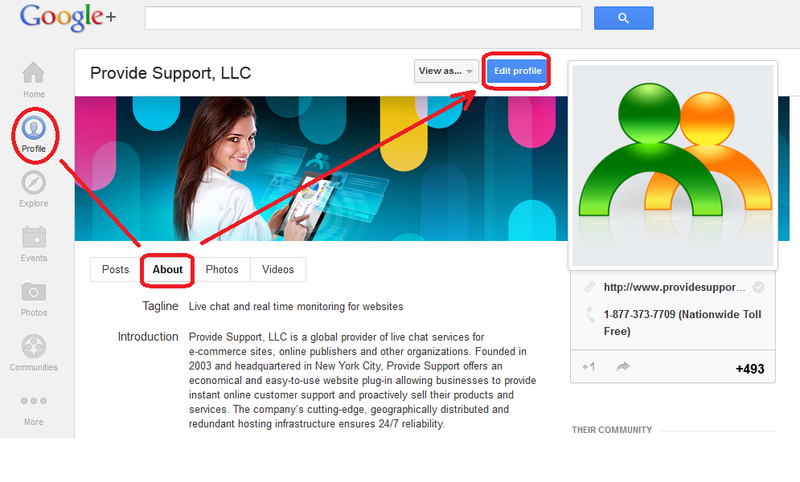 In this article we will explain how to add a chat link to your Google+ account. Google Plus does not allow any custom script to be added to your profile, so it is only possible to share a direct link to the messenger by adding it to the Links section. This entry was posted in Articles, Instructions and tagged google plus, integration with social media. Bookmark the permalink.